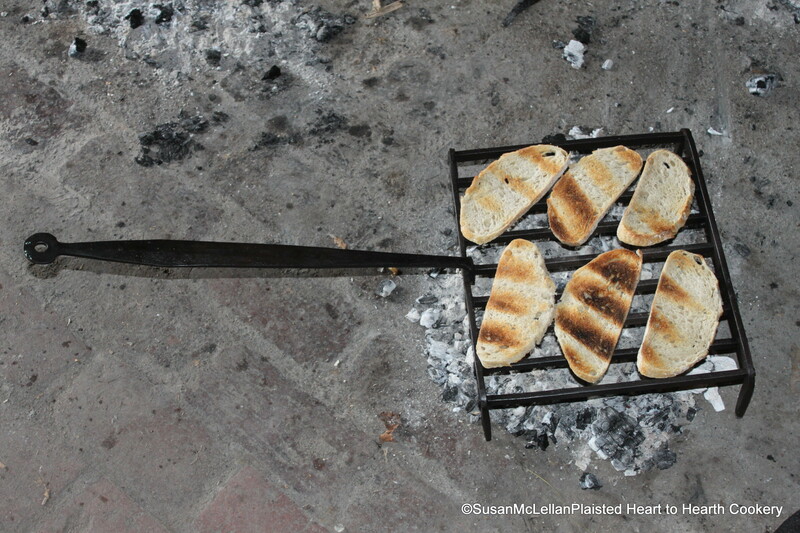 When the fine thin toasts were turned, an interesting pattern appeared on the toasted side from the bars of the gridiron. That a burner of embers heats unevenly is very apparent. The toasts were rotated in position after this picture to toast the other side.